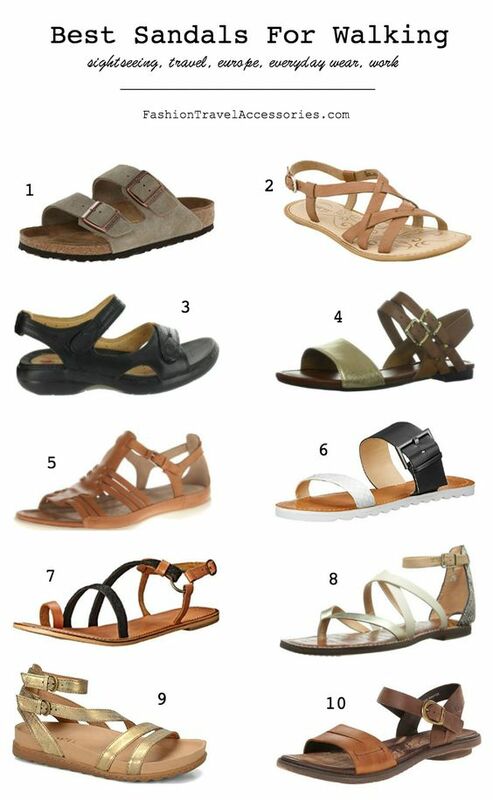 For fashionistas, footwears are also in vogue, especially sandals for everyday wear and when travelling. There are different types, styles and leathers. Such as Birkenstock Arizona Sandals, Born Eryka Flat Sandal, Clark's Women's Hatch Back Strap Sandal, Clark Indira Rui Sandal, Ecco Flash, Huarache Sandal, Vince Camuto Women's Mother Sandal, BC Footwear Lode Toe-Ring Sandal, Sam Edelman Gilory Gladiator Sandal, Born-Peera Sandal, Born Ebb Sandal Lace Shoes, Tip Toe Sandals, Wedge Sandals, Gladiators and much more. These sandals help the traveller to be smart, comfortable and feel his toes freely. For those with bad feet, sandals heal and avoid bad smells. I love sandals cause it goes with all types of wears during vacations and make you look Chic.